@prosofttechnology is on Carousell - Follow to stay updated! 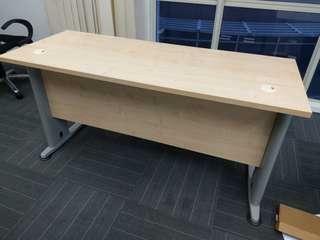 Barely-used Office Table for sale, 1500mm*600mm. 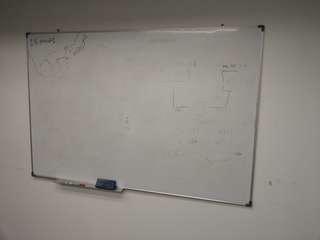 Whiteboard for sale. XL size. Check my other listings for S,M,L sizes. Used magnetic whiteboards for sale. Four sizes available. This listing is for: XL: 1830mm*1220mm RM 50 (Check my other listings for these sizes: S size: 305mm*305mm RM 10 M: 605mm*455mm RM 20 L: 895mm*600mm RM 30) Self-collect only. Delivery is not offered. Whiteboards for sale. Size M. See other listings for S,L,XL sizes! Used magnetic whiteboards for sale. Four sizes available. This listing is for: M: 605mm*455mm RM 20 (Check my other listings for these sizes: S size: 305mm*305mm RM 10 L: 895mm*600mm RM 30 XL: 1830mm*1220mm RM 50) Self-collect only. Delivery is not offered. 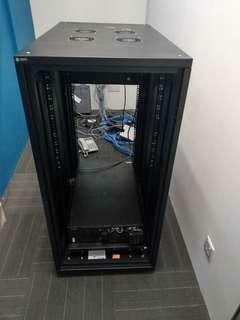 Used whiteboard for sale. Size L. See my other listings for S,M,XL sizes! Used magnetic whiteboards for sale. Four sizes available. This listing is for: L: 895mm*600mm RM 30 (Check my other listings for these sizes: S size: 305mm*305mm RM 10 M: 605mm*455mm RM 20 XL: 1830mm*1220mm RM 50) Self-collect only. Delivery is not offered. Whiteboard for sale, size S. Total 4 sizes available: S,M,L,XL. See my other listing for the other sizes. Used colour multi-function Photocopier, Printer and Scanner. Lightly used. Ideal for office use. Two paper trays. Comes with 4 toner tubes - black toner recently topped up. 2-page duplexer built in. 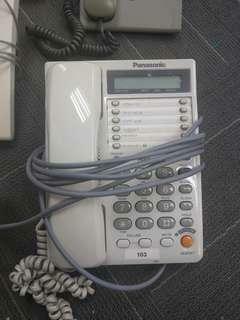 Printing and Scanning functions can be used over the office Ethernet network.